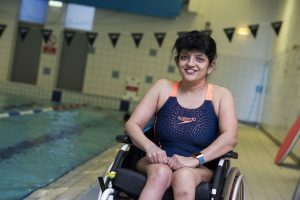 Whether you fancy a swim, a relaxing health suite session, a workout in the gym or a game of tennis, we’ve got so much to offer and you can save money too with our disability discounted Flexible Fitness offer, available to city residents*. We understand that sometimes having a disability or long term health condition may stop you doing the things you love. To help, we offer a range of discounted activities and memberships so you can train when you’re able to, in surroundings that support you every step of the way. With 25% off our Swim and Health Suite membership and 20% off our full Health and fitness membership, its means you pay just £14.99 or £23.99 a month depending on which package you choose. You can also bring someone to support you with your workout with our “Carer goes FREE” offer. We have fully accessible facilities and changing rooms, along with a range of wheelchair accessible fitness equipment across our 7 gyms too. Fancy taking a fitness class? You can! as we offer mixed ability sessions too. As a Flexible Fitness member you can also access four personal appointments with a Fitness Advisor who will tailor your fitness programme to help you achieve your goals. 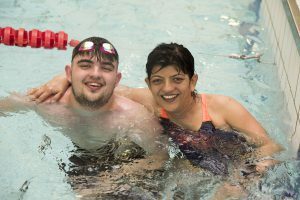 If you’re only looking to exercise once a week, or not sure if you’ll fully utilise our monthly membership, we also have Pay As You Go options available with our Active Nottingham card which gives up to 50% discount on activities. Finally our Flexible Fitness Membership packages come with 15-day money back guarantee! Visit your nearest leisure centre or call us on 0115 8761600 to discuss your options and find the best package that suits your needs. Fancy playing Tennis? You can with one of our specialist sessions where players from around the country can enjoy the game in a friendly and social environment and which can lead to playing in competitions. 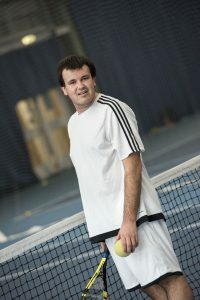 Visit our disability sport and activity webpage for more information about Tennis and other activities on offer.